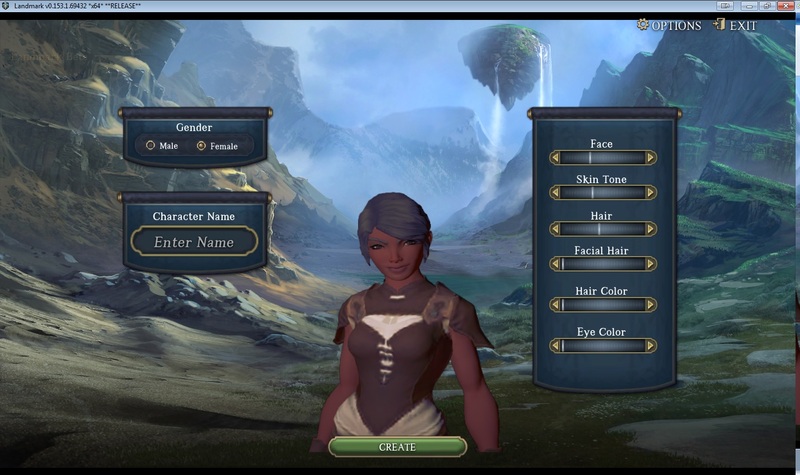 I received an invite today to the closed beta of EverQuest Landmark, so I logged in as soon as the servers were up and got to character creating! Landmark is the world building component of the next series of EverQuest games (Next is the MMORPG). So while an MMO is more my style, I have no qualms about beta testing a game where I can build my own castle in the side of a mountain. Anyway, I spent several hours wandering around aimlessly destroying things (like trees) for resources. I had no idea what was needed, how to build it, or anything of that nature. Apparently you start right next to a Portal Stone (which I completely ignored) and that has a forge, mailbox, and other things. So right now I have a fair number of resources (I think) and I'll have to start laying claim to land and do more serious building in the next few days.